Entries from Digital Intelligence tagged with "ask"
December 2012 was the biggest ever month for UK search, with Google dropping to 88% market share, marking its lowest point in five years, according to new data. October proved to be scary month not just for Halloween but also for Google’s share of the UK search market. October figures suggest 89.33% of all web searches in the UK were made using Google. The findings, from Experian Hitwise, mark the first time in the last five years that Google has ever dropped below a 90% market share of UK search. UK Internet users made 2.3 billion visits to search engines in May 2012, up by 82 million visits compared to April 2012, according to new research. The study, from Experian Marketing Services, found the rise in visits represents a 3.7 per cent monthly increase in search activity and a 3.6 per cent year-on-year increase. Google increased its market share of searches for the third consecutive month whilst rival search engines bing, Yahoo! and Ask all lost market share. Google has increased its dominant position in the UK search market, accounting for more than 9 in 10 of all searches, according to the latest data. The research, from ComScore, indicates that UK Internet users made 2.2 billion visits to search engines in April 2012, up by 89 million visits compared to April 2011. The increase in search activity represents a 4.1 per cent year-on-year increase. There were 2.2 billion visits to search engines in January 2012 in the UK, with Google accounting for 9 in 10 searches, according to new data. The study, from Experian Hitwise, indicates that visits to search engines were up 174 million year-on-year.The increase in search activity represents an 8.7 per cent year-on-year increase. The Japan Earthquake, Hurricane Irene and Steve Jobs death were among the top search trends on search engine Ask.com in this year. "How big was the earthquake in Japan?" was the top news question and "Will Obama get re-elected?" was the top political question on Ask.com in the US. Meanwhile, in the UK Pippa Middleton was named one of this year’s internet search stars, alongside Ryan Giggs and Steve Jobs. Google sites accounted for 64.5 percent of total core searches conducted (up 1.2 percentage points), followed by Yahoo1 sites with 17.5 percent and Microsoft sites with 14.1 percent (Up 1.0 percentage points). Americans conducted more than 18.7 billion total core search queries in June (down 3 percent). 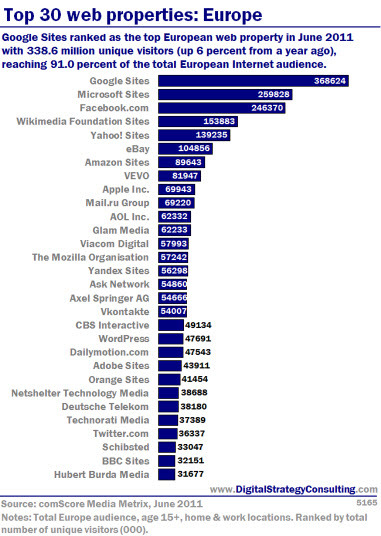 Google sites ranked first with 12.1 billion searches, followed by yahoo1 sites with 3.3 billion and Microsoft sites with 2.6 billion (up 5 percent). Bing-powered searches took nearly 30% of the US market share last month, gaining ground on Google which saw its share fall, according to new research. The study from Experian Hitwise indicates that Bing-powered search took a 28.99% market share for all searches made in the US for the month of August. Bing powered search results increased by 3%, specifically Bing.com search results saw a growth of 1% from July and Yahoo saw an increase of 5% (which is powered by Bing). July was a good month for Microsoft in the UK search market, but was not so strong for the market leader Google, according to new research. The data, from Hitwise, found Microsoft Sites reclaimed the number two spot in the search engine rankings list having dropped to third last month for the first time this year. Microsoft Sites, led by the bing search engine, accounted for 3.84% of all UK Internet searches conducted in July 2011. June was Google’s best month of 2011, as the search giant accounted for over 92% of all searches conducted by UK Internet users during the month, according to new research. 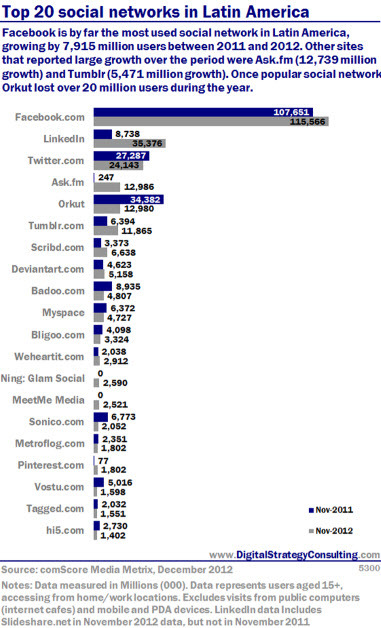 The data, from Hitwise, found top competitors Bing and Yahoo! both lost market share during June, leaving Google in its most dominant position this year. Google Sites saw a 1.50% increase in market share of searches in the UK in June, whilst Microsoft Sites lost 1.38% during the month. Yahoo! Sites meanwhile also lost market share, although their decline was a more modest 0.11%. Facebook has lost further ground to YouTube and Twitter in the UK, with the micro-blogging site boosted by the ongoing super injunction row, according to new data. 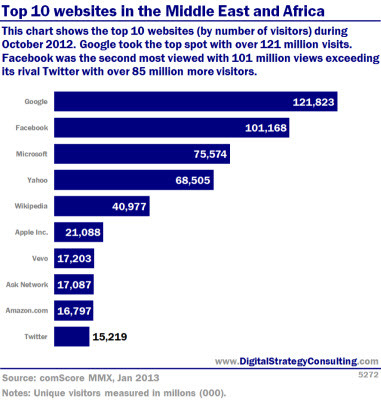 Experian Hitwise’s latest Search Engine and Social Analysis shows that Google and Yahoo! 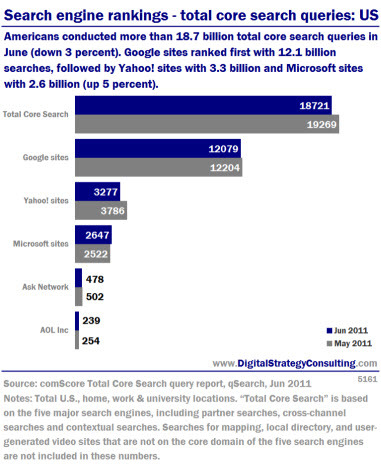 both lost market share in terms of searches in May 2011 as Bing, Ask and other search engines made significant gains. Google Sites were still responsible for over 90% of UK internet searches in May, accounting for 0.32% fewer searches than in April. Year-on-year, Google Sites were also down by 1.40%, with a lower share of the search market than in May 2010. Microsoft's search engine Bing was the fastest growing search engine during March, while YouTube was the quickest rising social network, according to new data from Hitwise. Google is still very much the dominant player in UK search, with Google Sites accounting for over 90% of all searches conducted by UK Internet users. However, between February and March 2011, Google Sites lost 0.66% market share of searches, whilst Microsoft Sites increased their market share of searches by 0.28%. Ask.com is cutting 130 engineering jobs and outsourcing its search technology, as the internet icon finally concedes that it cannot compete with Google and Bing in the search market. In a move similar to Yahoo, which recently outsourced its search technology to Microsoft, Ask.com will stop working on its search algorithm and instead hire a third-party company to provide that technology. The company is laying off engineers based in Edison, New Jersey, and in China, althouth it has not disclosed which companies it is approaching about a search partnership. Ask.com, which digital conglomerate IAC bought in 2005, plans to focus on developing its online question-and-answer service, in which actual humans field customers' queries. An "ask the community" program launched in July. Ask.com has launched a new site focused on Q&A-based queries, with results based on user generated answers to questions. The move comes as the fourth biggest search engine looks to gain lost ground on rivals Google, Yahoo and MSN’s Bing. Rather than relying solely on the Web, the updated Ask.com combines real user interaction with standard Internet search to help users find info. The new site actually harks back to the company’s initial question orieanted focus, which it had back when it launched in 1996. This time, however, the power of the people is a core part of the equation. Google has updated the way it presents its search results, in a bid to make the information more relevant and simpler. The new layout includes features that are already being employed by its rivals such as Bing Yahoo and Ask. The changes include a touched-up logo, and a navigation panel on the page to refine queries with options to search specific categories such as news, images, blogs and video. The site will also include trending topics, pioneered by the likes of Twitter. So for a hot topic, such as the General Election results, users would be able to refine their search to content posted online within the past 24 hours or past few days. Similar lay-outs are already employed by Bing, Yahoo and Ask, making Google a relative latecomer to what has become a standard design for the search engines on the web.